On 27th of September 2018 STARTUP AUTOBAHN program 5 successfull launched: drag&bot is proud to be part of Europe’s largest innovation platform STARTUP AUTOBAHN. This time the accelorator program mached 19 corporate partners with 34 startups to work on over 50 pilot projects. The goal of STARTUP AUTOBAHN is to facilitate joint projects between startups and corporations and offers access to VC’s, mentors, hardware lab, expertise, tools and office space. 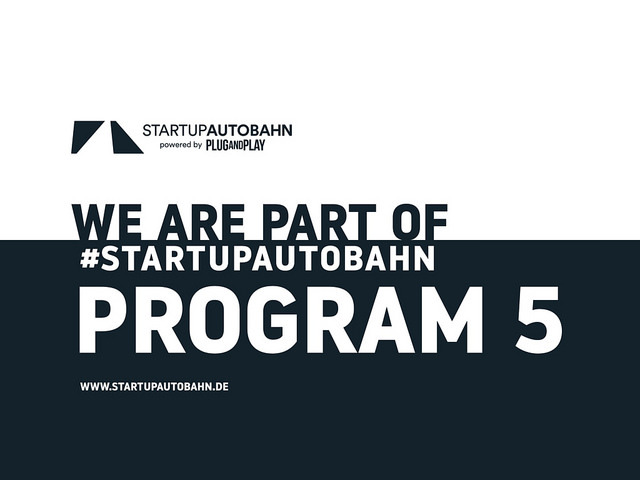 drag&bot will participate in the 5th STARTUP AUTOBAHN program with several pilots with different project partners. The focus of the projects will be in the area of flexile robotics, smart logistics and the future of production and industry 4.0. Most of drag&bot’s project partners are in the automotive industry. The automotive industry is typically strong in robots: Until now more than 50% of all industrial robots in Germany are deployed in this sector! Plug and Play is the organisation behind STARTUP AUTOBAHN. The sourcing for the startups already began in March 2018. Plug and Play organized hundreds of meetings between startups and the corporate partners. This gave the business units the chance to understand the startups technologies truly and to evaluate whether there is a strategic fit. Thanks to this process the selected 34 startups can expect one or more business units that strongly consider carrying out a pilot project. Starting now, over 50 pilot projects got commitment and both partner will be worked on the next 100 days. On EXPO Day, taking place on February 21st 2018, the partners and network of STARTUP AUTOBAHN will hear about many more joint projects happened.